The Macaroon cookie was born in Italy, introduced by the chef of Catherine de Medici’s in 1533 at the time of her marriage to the Duc d’Orleans who became king of France in 1547 as Henry II. 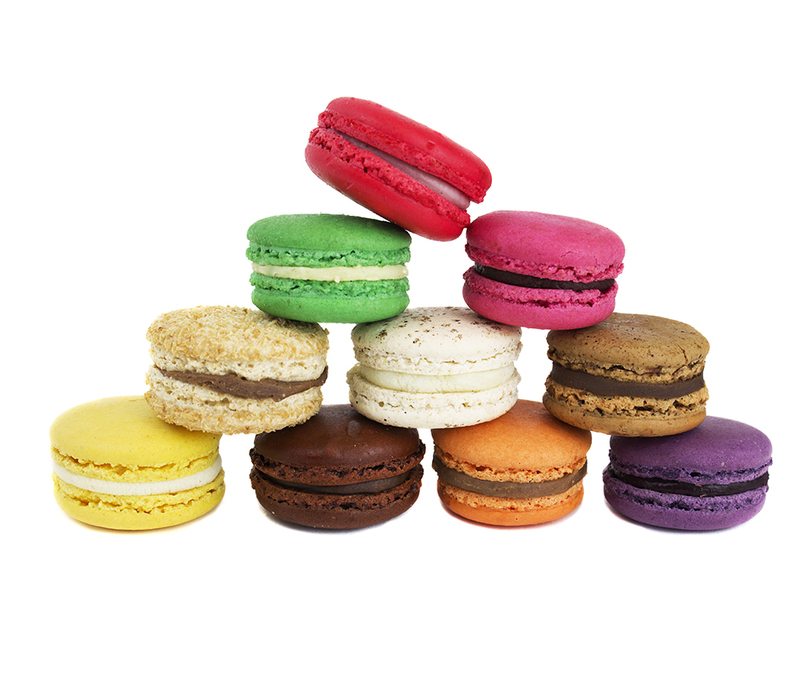 The term “macaroon” has the same origin as that the word “macaroni” — both mean “fine dough”. The first Macaroons were simple cookies, made of almond powder, sugar and egg whites. Many towns throughout France have their own prized tale surrounding this delicacy. In Nancy the macaroon of Chef Adam regaled Louis XIV and Marie-Therese at their wedding celebration in 1660. Only at the beginning of the 20th century did the Macaroon become a “double-decker” affair. Pierre Desfontaines, the grandson of Louis Ernest Laduree had the idea to fill them with a “chocolate ganache” to stick them together.